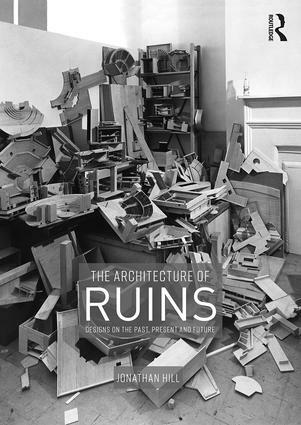 The Architecture of Ruins: Designs on the Past, Present and Future identifies an alternative and significant history of architecture from the sixteenth century to the twenty-first century, in which a building is designed, occupied and imagined as a ruin. This design practice conceives a monument and a ruin as creative, interdependent and simultaneous themes within a single building dialectic, addressing temporal and environmental questions in poetic, psychological and practical terms, and stimulating questions of personal and national identity, nature and culture, weather and climate, permanence and impermanence and life and death. Conceiving a building as a dialogue between a monument and a ruin intensifies the already blurred relations between the unfinished and the ruined and envisages the past, the present and the future in a single architecture. Structured around a collection of biographies, this book conceives a monument and a ruin as metaphors for a life and means to negotiate between a self and a society. Emphasising the interconnections between designers and the particular ways in which later architects learned from earlier ones, the chapters investigate an evolving, interdisciplinary design practice to show the relevance of historical understanding to design. Like a history, a design is a reinterpretation of the past that is meaningful to the present. Equally, a design is equivalent to a fiction, convincing users to suspend disbelief. We expect a history or a novel to be written in words, but they can also be delineated in drawing, cast in concrete or seeded in soil. The architect is a ‘physical novelist’ as well as a ‘physical historian’. Like building sites, ruins are full of potential. In revealing not only what is lost, but also what is incomplete, a ruin suggests the future as well as the past. As a stimulus to the imagination, a ruin’s incomplete and broken forms expand architecture’s allegorical and metaphorical capacity, indicating that a building can remain unfinished, literally and in the imagination, focusing attention on the creativity of users as well as architects. Emphasising the symbiotic relations between nature and culture, a building designed, occupied and imagined as a ruin acknowledges the coproduction of multiple authors, whether human, non-human or atmospheric, and is an appropriate model for architecture in an era of increasing climate change.